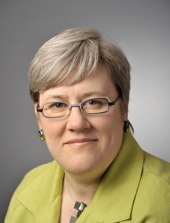 Rachel Kyte: What Next for Climate-Smart Agriculture? In this guest post, Rachel Kyte, Vice President for Sustainable Development at the World Bank, reflects on the lack of progress made in getting agriculture on the agenda at the recently concluded UN climate talks, and she looks to the newly launched Alliance on Climate-Smart Agriculture as a possible channel for building consensus and fostering collaborations. The bad news is that delegates opted to delay again, discussions of agriculture. This decision, given agriculture’s substantial and well-documented contribution to greenhouse gas emissions, reveals the discomfort negotiators still feel around the science and priorities of what we consider “climate-smart agriculture”. The decision to postpone is short-sighted when we consider the potential role that agriculture can play globally. Agriculture is the only sector that can not only mitigate, but also take carbon out of the atmosphere. It has the potential to substantially sequester global carbon dioxide emissions in the soils of croplands, grazing lands and rangelands. At the World Bank Group, we are deeply committed to supporting climate-smart agriculture, which is an approach with three core goals that together point the way towards a “triple win”: increasing productivity and incomes, building resilience while reducing vulnerability, and reducing emissions – potentially capturing carbon as well. To have real impact, we must apply these principles and act across landscapes – that means crops, livestock, forests, and fisheries. Otherwise progress on farms will come at the expense of forests, streams and biodiversity – the loss of which will impact farmers’ productivity and resilience down the line. When I visited Kenya last month, I met a farmer who embodies the triple win promised by climate-smart agriculture. John Obuom and Poline Achieng’ Omondi plant trees that sequester carbon and transfer nitrogen to the soil. They grow improved crops that are more resistant to drought and disease. And they keep livestock breeds that are better adapted to a changing climate. This model works for John and Poline: they have improved soil fertility, restored degraded land, and reduced greenhouse gas emissions— while providing more food and income for their family. John and Poline are beneficiaries of a CGIAR Research Program that is working with communities to develop Climate-Smart Villages. The idea is to test agricultural interventions to gain a full understanding of the benefits and effects they might have. Clearly, some of these models show great promise. But John and Poline’s farm is one hectare. We now need to replicate successful approaches on a much larger scale. In Costa Rica, farmers have benefited from more than a decade of payments for ecosystem services. Those payments, nationwide, have shifted behaviors toward better livestock and crop management practices that protect natural water sources and take advantage of trees on farms to fix nitrogen in the soil, provide shade for cows and coffee and sequester carbon. These practices are good for the environment; the reason they stick is because they’re also good for the farmers’ wallets. Part of what makes Costa Rica so unique is the strong multi-stakeholder approach and commitment. In Costa Rica’s agroforestry program, for instance, the country’s National Forestry Financing Fund is working together with farmers and farmer organizations like CoopeAgri and the BioCarbon Fund to achieve the successful results we’ve seen. Innovative partnerships will be critical moving forward, as many different skills are needed to achieve systemic change in how countries address the challenge of providing food security in the face of climate change. Support is growing. This week, innovative farmers, scientists, government officials and representatives from private sector and civil society – are coming together at the Global Conference on Agriculture, Food and Nutrition Security and Climate Change in Johannesburg, South Africa, to launch the Alliance on Climate Smart Agriculture. The conference will provide a platform to discuss and share experiences on successes, as well as lessons learned, to deliberate the challenges and threats to food and nutrition security under the impact of climate change and to start identifying and advancing solutions for action. This Alliance could become a key forum for collaboration. Working together, I believe we can move climate-smart agriculture to the next level, identifying common goals and fostering new working partnerships that deliver systemic change on the ground. Pursuing climate-smart agriculture is not a luxury – it’s an imperative. Let’s make this a groundbreaking move towards real advances in sustainable agriculture. We need to act now.